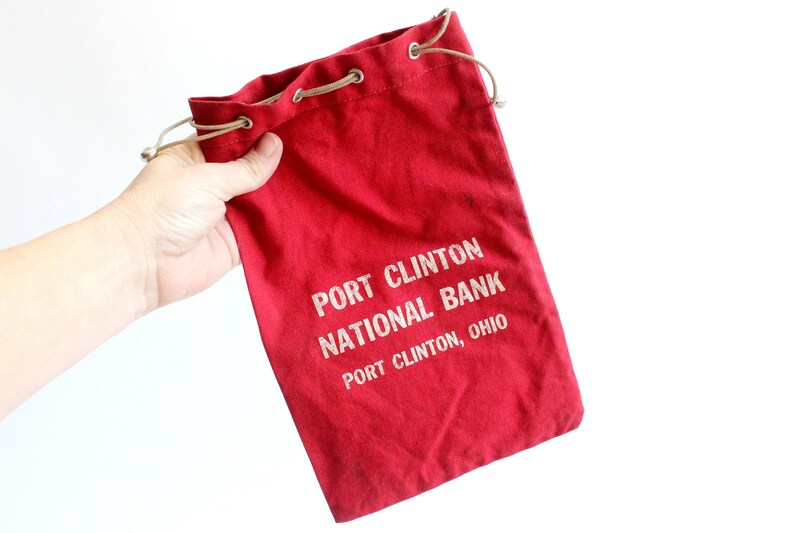 Vintage canvas money bag. 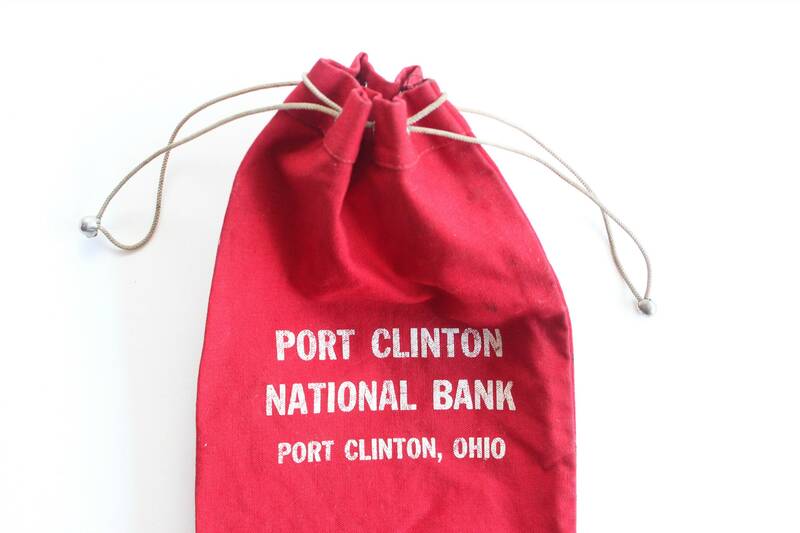 Small draw string bag from the Port Clinton Nation Bank in Port Clinton, Ohio. 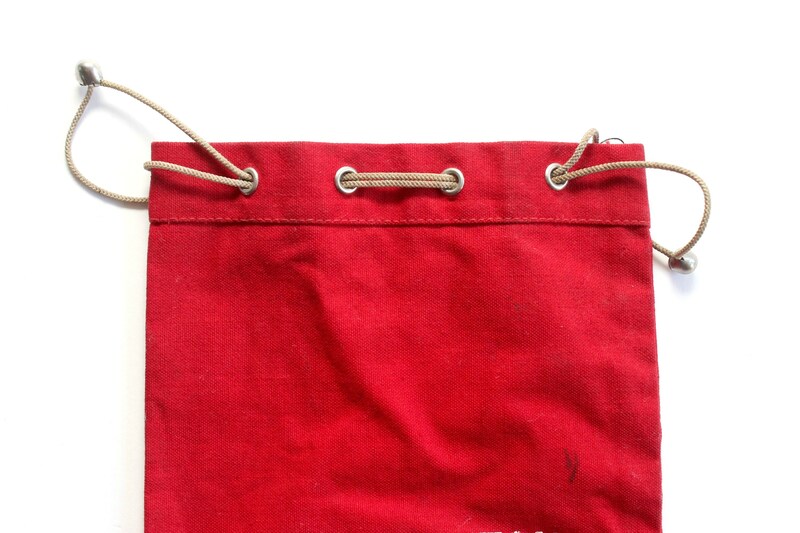 Bright red canvas with white writing on one side. Fill with coins or other trinkets. 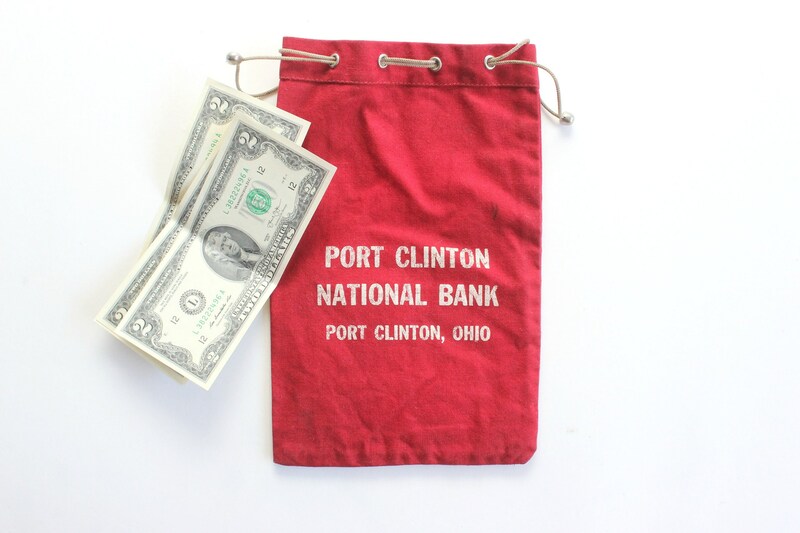 Makes a fun gift bag for a cash gift! Vintage/used condition. Some stains can be seen but the bag it sturdy and the draw string works well. 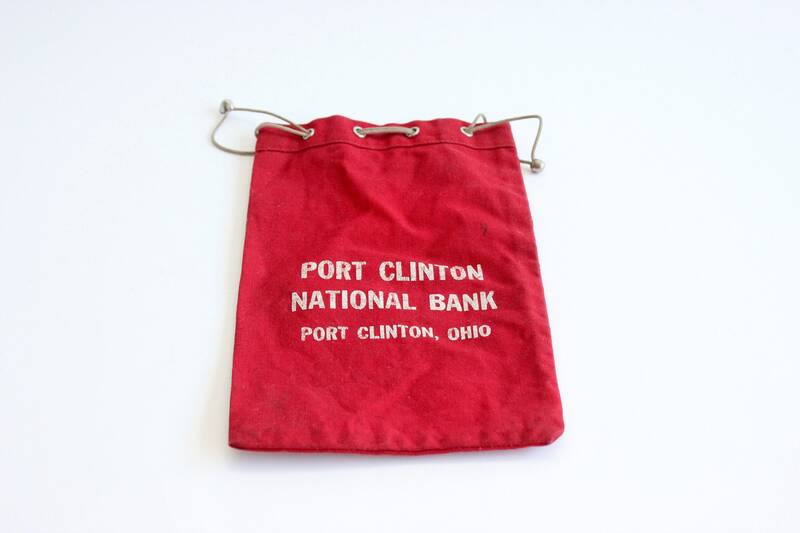 Bag measures 6.25 inches wide and 10 inches tall.